As of October 2015, 54 million people in the US alone have done freelance work- rough 34 percent of the US workforce. With many conventional opportunities drying up, we're making our own, and there's plenty to go around. Businesses are updating to the digital model to keep up with changing times, creating loads of opportunities for businesses that want to create online presences or even local events and classes to keep up with the competition. 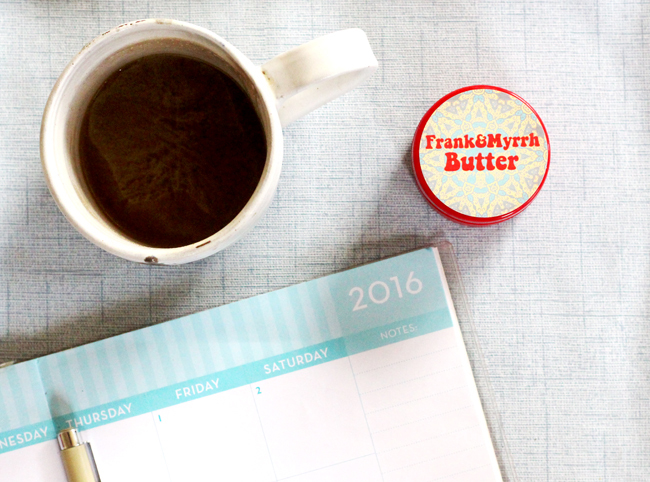 I love our Frank&Myrrh body butter. Working hard to get our products done every day. I've done a little bit of everything on this list lately and it's been wonderful to build some income stability while I start a business and help local small businesses at the same time. If you're trying to leave the day job to work on your own, or looking for a new income source on the side, one of the 25 options in this list may work for you! 1) Social Media : Grow social media for others. Followers=dollars. 2) Digital Media : Make written, video, & photo web content. 3) Distance Learning : Teach online via skype and/or e-mail. 4) Graphic Designer : Create graphic art for businesses. 5) Web Designer: Specialize in designing websites. 6) Portrait/Event Photographer: For businesses & individuals. 7) Product Photographer: Photograph merchandise. 8) Copywriter : Write content designed specifically to sell. 9) Document Designer : Training documents, inventory sheets, etc. 10) Inventory/Accounting : Track sales/current stock/expediters. 11) Freelance Teaching : Rent a space in a local biz & teach. 12) Video Producer : Big demand for video makers for businesses! 13) Video Content Creator : Some YouTubers make six figures! 14) Blogger : Make products to sell and/or use ads to make $$$. 15) Editorial Writer : For papers, sites & magazines, freelance. 16) Marketing : Create plans, promote businesses. 17) SEO : Search Engine Optimizing website layouts and content. 18) Programming : There's still a big demand for programmers! 19) E-Book/Book Writer : Sell eBooks online or go conventional. 20) IT : Start your own freelance IT business. 21) Organizer : Help organize people's homes and businesses. 22) Patreon Supported : Patreon helps artists make creating their full-time living. 23) Personal Chef : I had more requests for making raw vegan pies, kale chips, & kombucha than I could keep up with!! 24) Nanny/Day Care Owner : Good for moms of young kids. 25) Google Adwords : Operate Google AdWords campaigns. *Are you an illustrator? I need to hire you! E-mail me. I hope that got the imagination and motivation going for anyone who's trying to work from home, start a new freelance job or create an easy side income. Let me know if I left out anything important! There are so many ideas! I didn't even include yard work which is always in demand and lucrative. What do you do to make money on the side?